A Life Well Spent in my little stamping world is finding a new way to use products that I have had for a while. Deep in the bottom of my paint/ink drawer, I found a set of Posh Rainbow Inks that I have had for some time now. I decided to pull out this beautiful, vibrant ink set and pair it with some Cut-n-Dry Stamp foam to make my own stamp pad. I just applied the ink to the Cut-n-dry stamp pad and, like magic, I have a unique stamp pad for stamping. 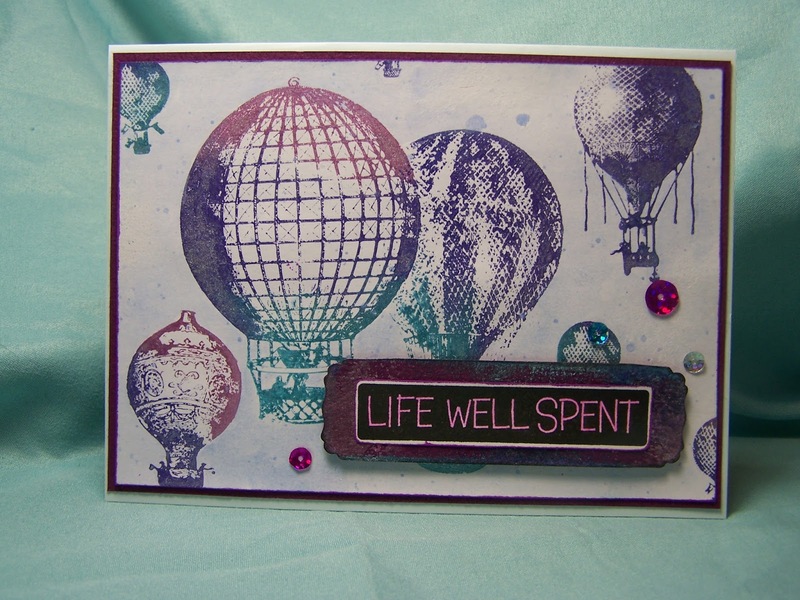 These inks highlighted the Hot Air Balloon stamps wonderfully. I just loved the effect of the shimmery metallic inks. I then added some dimension to the back ground with watercolors. To finish the card off, I strategically placed sequins and added the “Life Well Spent” saying (mounted on card stock and popped up with mounting foam). 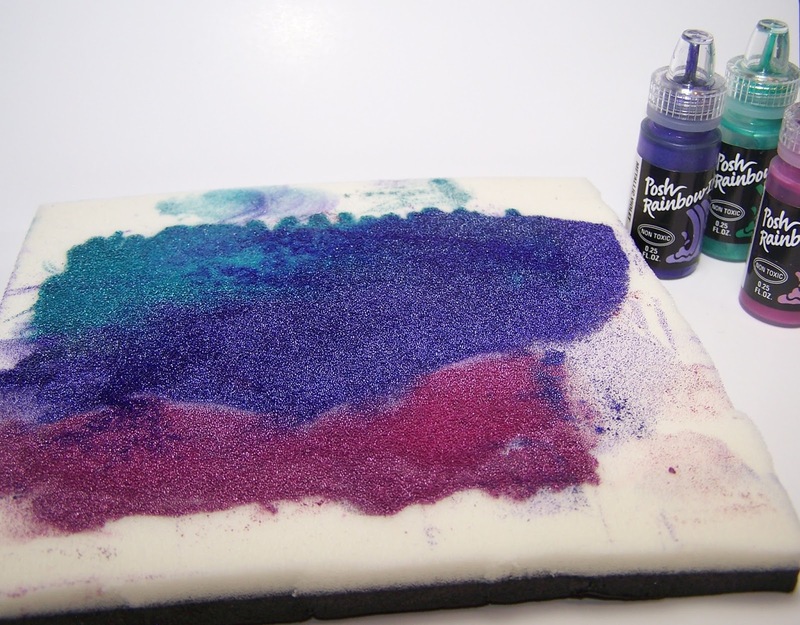 To make the ink pad just apply the ink directly to a piece of Cut-n-dry stamp foam. Once the pad is well inked you can use it as if you would any other ink pad. So here is the challenge, dig through your craft stash and find something old to make bright a new again.